Heroes & Superstars is a new challenging reality competition show where nine gaming superstars and three extreme sport stars will battle out in Heroes of Warland against each other. The premiere of Heroes & Superstars will sync with the launch of Heroes of Warland and premiere in 2018. Heroes & Superstars is produced by Gamingzone Entertainment. 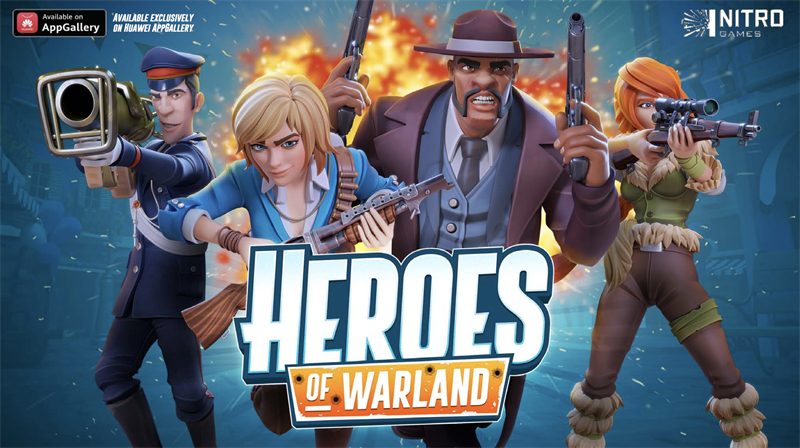 Heroes of Warland is a team-based competitive multiplayer game on mobile. With Heroes of Warland, Nitro Games is introducing hero-based shooter genre on mobile for the first time. The genre has been highly popular on PC. Hero-based shooter means that the game has several hero characters, each with their individual skills and abilities, offering a unique and fun team multiplayer experience previously unseen on mobile. Heroes of Warland is currently available in Huawei AppGallery, exclusively for a limited time. AppGallery is the app store preloaded on all Huawei & Honor smartphones and tablets. Nitro Games is a free-to-play mobile game developer and publisher focusing on making games for the mid-core user segment. The Company focuses on developing competitive multiplayer games with high production values and high revenue potential for smartphones and tablets. With Nitro Games’ powerful NG Platform and NG MVP-process, the Company is able to validate its games on the market earlier within its game development cycle than its peers, in order to minimise risk and ensure higher product quality. Nitro Games has developed games such as Medals of War, Raids of Glory, East India Company, Commander: Conquest of the Americas, Pirates of Black Cove. Nitro Games’ shares are listed on Nasdaq First North Stockholm with the ticker NITRO, and the company’s Certified Adviser is Augment Partners AB, phone: +46 8 505 651 72. www.nitrogames.com.